The last few years videos from various open source events here in Denmark has been recorded but due to various reasons only few of them has made it online. Included in these events are The Camp where I this year volunteered to arrange this years recordings. The goal this yeas has been to make it possible for everyone to record a talk (i.e. it should not be too complicated and well documented) and the encoding and publishing process should be made simple. I have tried to do it as much according to KISS as possible while still having some information about title of the talk, licensensing etc. included in the recording. 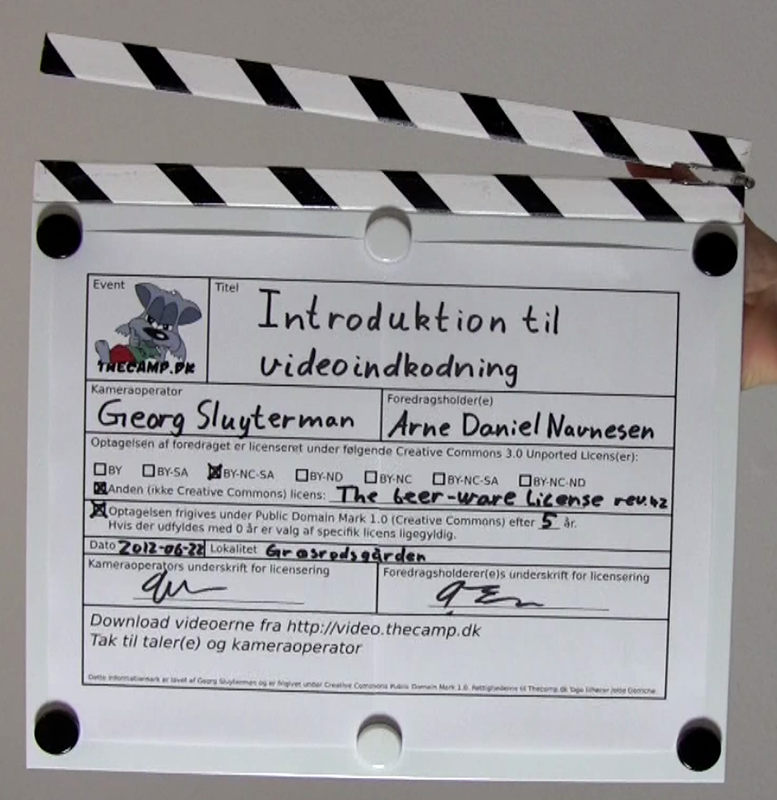 The result is a piece of paper that is filled out and put on a clapper that i build, a recording made in its full length without further editing afterwards, and a small script that encodes the video. To see which videos will be available see also this years schedule. Update (2012-07-30): All videos are now online.